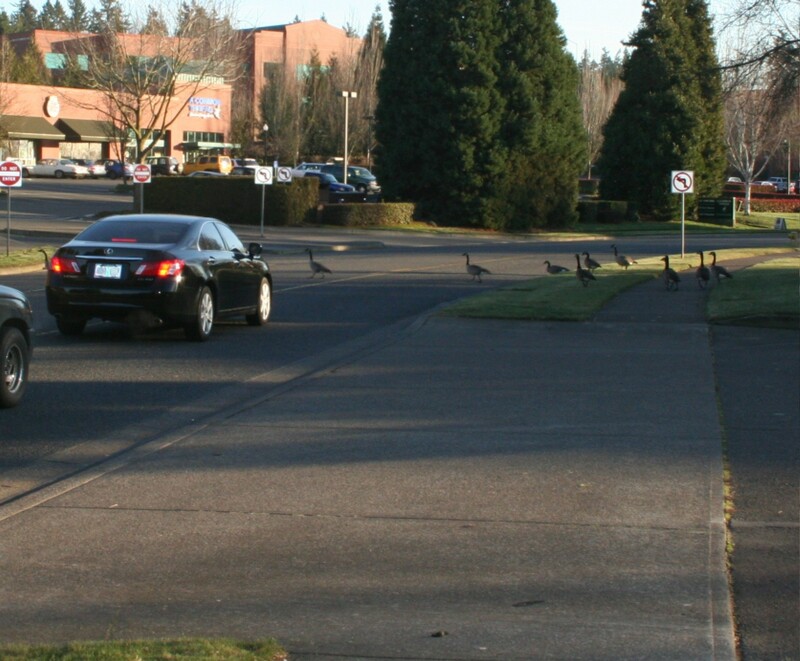 The people in the cars are not happy about the geese being back. The woman in the black car waited until most of the geese were across the street, then forced her way through, separating the final four from the rest of the flock. These stopped traffic, too. my walking partner & I waited until they were safely across before we continued our walk, lest we shoo them right back out into traffic. I was going to take a photo of the goose poop, too, but sometimes I have a hard time explaining my photos to my walking partner. She thinks I’m a bit strange. We dodge a lot of goose poop and I just wanted to share that fact with you. Lots and lots of goose poop. I’m sure you can picture it without a photo. 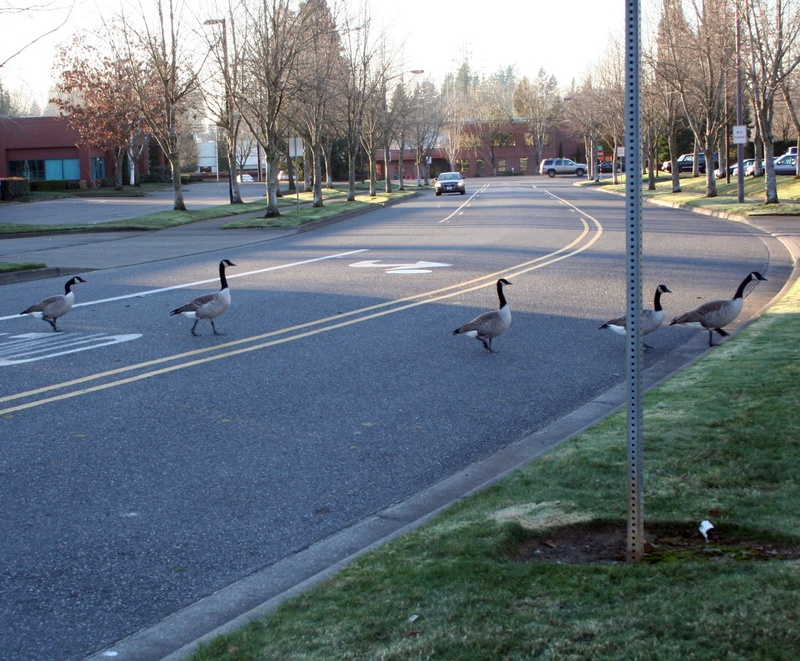 I hate to ask, but…do the geese ever get hit or run over by traffic?